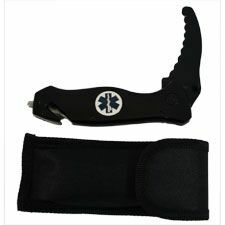 The Rescuer Emergency Knife has an anodized aluminum body with a convienent belt clip and thumb pulls. 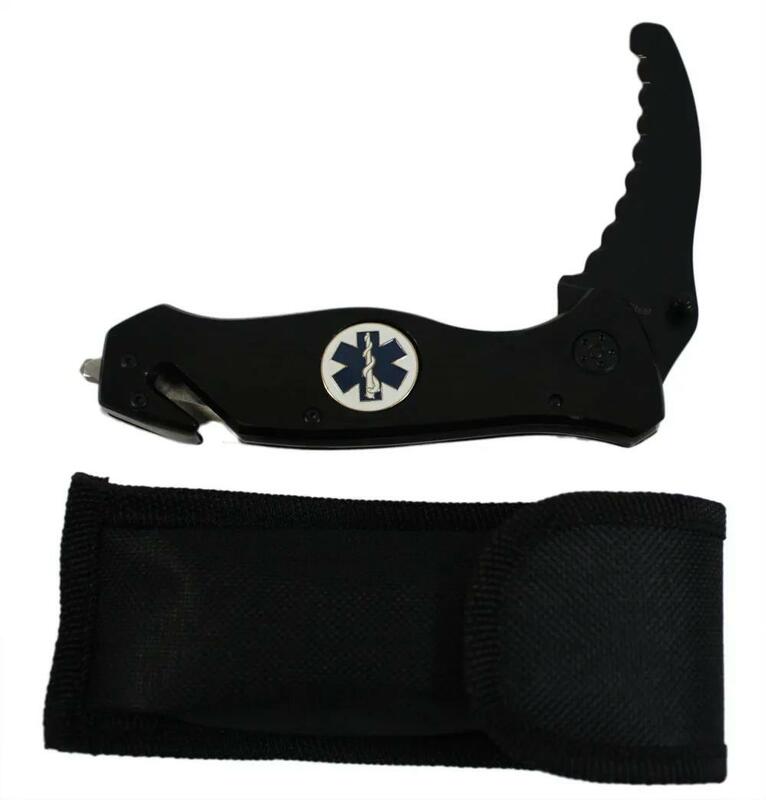 This lightweight knife has a stainless steel serrated blade with a rounded tip for safety. It is also equipped with a window punch and seat belt cutter. Includes the Star of Life emblem inlay. Blade is 3" in length and the knife closed is 4-1/2". It weighs approximately 3 ounces and comes complete with a nylon ballistic holster which can be worn either vertically or horizontally.